Today’s guest, Erin Morris, has a truly heartstring-tugging story to share about the power of reading. 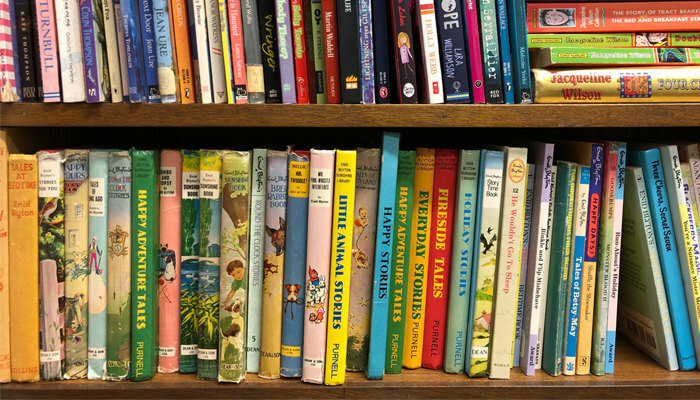 She and her son are in the middle of tackling a book challenge this school year, and the impact on his imaginative life and her literary life have been no less than remarkable. If you have little ones, just be warned, this episode is going to make you want to drop everything, pull them close, and enjoy a good book together. Of course, it’s not just kids books! We’re also talking about making reading fun and stress-free for ADULTS because not every book has to be a learning experience, serious topics treated with respect, and I match Erin with whimsical — but not gimmicky — fiction. Mythology podcast dramatizes an exciting story pulled from the beliefs of ancient cultures, giving insight into how our ancestors saw the universe and how those stories resonate in our lives today. New episodes every Tuesday! 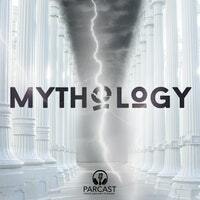 Search and subscribe to MYTHOLOGY wherever you listen to podcasts. Better health doesn’t happen overnight. Start your year with Essential for Women capsules — a small step that helps create a healthy foundation for 2019, and beyond. Visit ritual.com/READNEXT to start your ritual today. Kopari’s deodorant is formulated with plant-based actives like sage oil and coconut oil to outlast your longest days. Most importantly, it’s vegan and free of silicones, sulfates, parabens, GMOs, and baking soda—and it’s great for sensitive skin. Go to KopariBeauty.com/READNEXT to make the safe switch today, and save five-dollars off your first order when you subscribe! You can take care of your meal planning for the whole year RIGHT NOW with a premium PrepDish subscription–no matter what diet fits your lifestyle. Shop once, prep once. Then enjoy delicious home cooked meals in just 20-30 minutes a day. 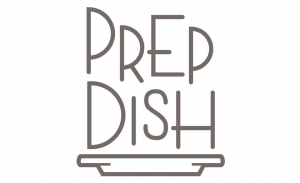 Check out PrepDish.com/readnext for a free 2-week trial. What books do YOU think Erin should read next? Tell us in the comments! Anne- the premise for Enchanted April reminded me of Three Men in a Boat (quirky and fun). I’m just not a fan of Podcasts, why does everyone and his brother think they must do one? At least please leave a link where I can click to read it. TX! I’m not sure if Anne provides a transcription of her podcasts. If you haven’t ever tried listening I highly recommend it. 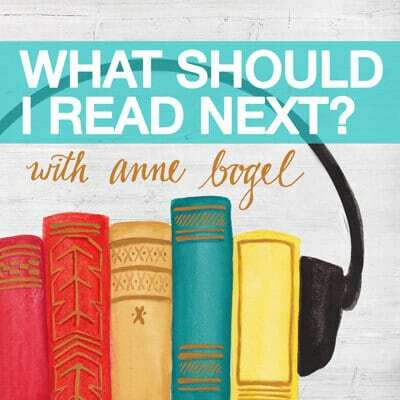 This podcast has changed my reading life and is one of my favorite podcasts. 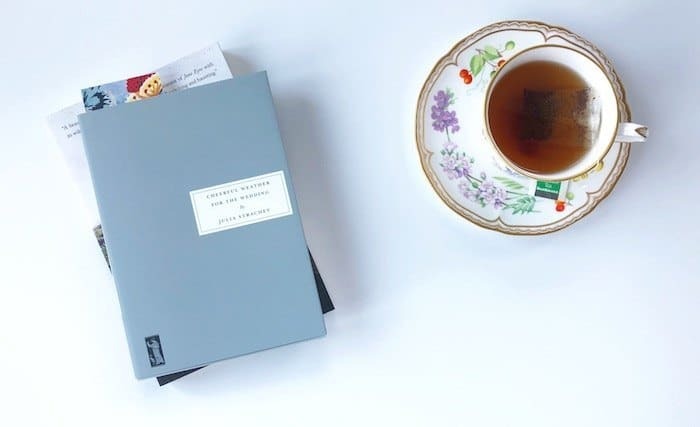 If you find after listening that it isn’t for you then Anne provides a ton of great content on the rest of Modern Mrs. Darcy. It’s very easy to pass on the podcasts posts and dive into content you’d prefer. Thanks so much for the link to the Might Women Reading List! I have added a bunch of the books on it to my TBR nonfiction list! I too am an adoptive mom to kiddo from a trauma background. I really enjoyed Ginny Moon. I am wondering if Erin has read Forever or a Long Long Time by Caela Carter? I really liked this book that follows a set of siblings adopted from foster care trying to find where they came from and what their future holds. Some non-fiction that I have read specifically related to my journey as an adoptive mom are The Connected Child by Karen Purvis and The Boy Who Was Raised as a Dog By Bruce Perry. Thank you so much for sharing your story! Thanks, Rachel! I’m a big fan of both Karen Purvis and Bruce Perry and use the Connected Child quite a bit when I’m training new foster parents. But I’ve never heard of the Caela Carter book, and it definitely sounds like something I would enjoy! Thanks for the recommendation! I second this recommendation! So good. I think Erin would love “The Adventures of a Girl Called Bicycle” I think it really hits all the marks of what she described looking for in plot and tone!! Oh my goodness, Julie! I really don’t have any experience with Middle Grade, but when I look at this book’s description, I’m won over right away! A quirky, introverted girl riding her bike across the country…I mean, come on. She is me. You found so many connections, and it sounds like a perfect intro to the genre. I’m definitely excited to check this one out! I really enjoyed Where’d You Go, Bernadette? I thought it would be a great one for the type of book Erin was looking for. So appreciated hearing your story of reading with your child and how it is helping your son to heal. Thanks, June! I started to read that one not long after it came out, but I didn’t finish. I think that was because I still couldn’t believe I could just have fun; I thought I better go back to something more “important”. I think now is probably just the time to go back. Just having fun would be a great avenue to explore! Enjoy. I think another book that would be fun for Erin is The Curious Charms of Arthur Pepper. To me it has some of the best qualities of Ove and Elinor Oliphant. It’s about a guy who is avoiding his life, happens upon a charm bracelet that belonged to his deceased wife, and searches for its meaning. It’s the one I thought of when you mentioned someone living fully in their life. I’ve been considering that one! Thanks for the nudge, Brandi! “Squirrel Seeks Chipmunk” is not a favorite David Sedaris book of mine either, nor is it his usual form (fiction instead of his usual memoir-based non-fiction). “Me Talk Pretty One Day” is a lot less cynical & way funnier (IMO). He’s an author you might like better if you tried listening on audio! Have you read any of James Herriot’s memoirs? They are warm & observant & full of fun language… highly recommend! I’ve read almost all the fiction mentioned in this episode, and my taste in fiction have many similarities with yours! I love “Attachments”, so much fun. I suggest “Blessed Are The Cheesemakers”. I think it fits into your type of whimsy. Thanks, Brigette! With your similar taste, I bet it’s an awesome recommendation! It’s officially on the list. I would like to add my two cents! I was thinking Harold Fry for you, and then Anne suggested it. The one I like as well that has a very similar description (old man sets off on a journey with no preparation) is The 100-year Old Man Who Climbed Out a Window and Disappeared. It is quite the opposite book of Harold Fry in tone. More fun and more Forrest Gump like in journey and plausibility. Back to Harold… if you like it, read the companion story The Lovesong of Quennie Hennessy soon after you finish Harold. It’s not quite a sequel and it enhances the story so much. Okay, Carrie, you’ve got my attention. I’ll try to go back for short try. I’ve never heard of James Herriott, but I love recommendation for interesting use of language. Also, getting all these bonus recommendations is SO MUCH FUN! And definitely give James Herriot a peek! His recollections of his life as a veterinarian in rural 1930s England just oozes warmth and good humor. “All Creatures Great and Small” is the first in the series (also fabulous on audiobook!). Erin, I just want to second Anne’s recommendation of An Enchanted April, and really encourage you to try it. You sounded a bit unsure. Like you, I’m not crazy about books that are slow to start out, but this is one of my favorites. My IRL book club read it, and everyone enjoyed it. We also made it our movie day for the year, and paired it with the delightful 1991 film starring Miranda Richardson and Joan Plowright. So good! That movie is so wonderful! It is one my mother’s and mine favorites to watch together. Erin, as I was listening to this episode I kept yelling, “The Memory of Running”. It is a favorite of mine and hits your likes of a plausible, overwhelming undertaking and spontaneous embankment of that undertaking. I too work with kids and families recovering from trauma and I like books with magical realism as a phantastical escape from our sometimes too harsh real world. I couldn’t tell if you had tried any or if you even know about that variety of whimsy, I personally like Sarah Addison Allen very much. Thanks, Erin! I love your excitement! I haven’t ventured far into that genre, but this sounds like a great way to start. Erin I would highly recommend “The Story of Arthur Truluv” by Elizabeth Berg. I LOVE Ove and didn’t think anything could beat it…until Arthur Truluv. Elizabeth Berg came out with a second book that involves some of the same characters but a completely different story and was amazing as well. Oh, that definitely sounds intriguing! Thanks!! Also, loving hearing from seeing some fellow adoptive mommas! That definitely sounds intriguing, Laura! I’m going to check it out. Also, love hearing from some other adoptive mommas! Since you liked The Storied Life of AJ Fikry, you might enjoy 84, Charing Cross Road. Also, Parnassus on Wheels by Christopher Morley. Thanks, Karen! I’ve never heard of that first recommendation. I’ve got both on the list! When I was listening, I thought of a few books that I think Erin might like. 1. 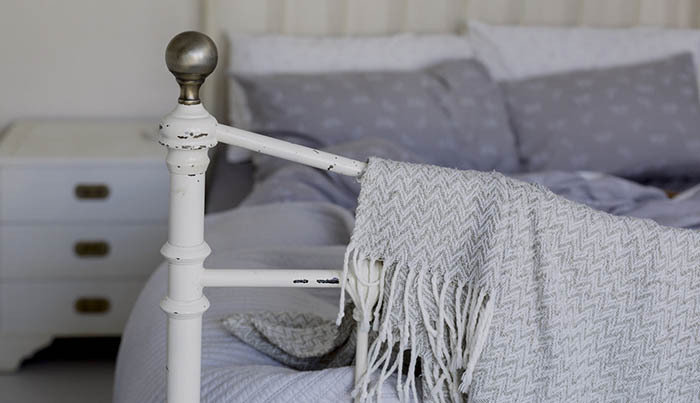 One-in-a-million Boy: Quirky, but not necessarily whimsical. I think it creatively addresses a family in crisis without being too grim. I thought of suggesting Ella Minnow Pea, as well. It is a fun book for word play; although, I was surprised when a few of my IRL book club members didn’t care for it. Still, I’ve read it twice and enjoyed it both times, so I’d suggest Erin at least give it a try. Thanks, Holli and Debi and Dee! I’ve considered Ella Minnow Pea a few times in the past for the “play with language” reason and just hadn’t decided if it had enough substance to be quality and not gimmicky. I couldn’t tell. But with your recommendation, I’ll give it another try. Holli, I’ve read One in a Million Boy and did enjoy that one. Rabbit Cake has been on my radar, but just barely. I’ll definitely check it out! Thanks! I agree with One in a Million Boy and Ella Minnow Pea! I think Erin might like the whimsical Jessica Darling teen series by Megan McCafferty, starting with “Sloppy Firsts.” So fun! Interesting! I’ll check that out, Sheri! Thanks! Erin, I agree with the Carrie Mulligan’s comments regarding David Sedaris fiction (not my favorite format for him). I would also recommend you try one of his non-fiction works on audio. He is snarky but it is equal opportunity snark, he does not escape his own criticism. The love and appreciation he has for his family comes through in his reading. I think Erin would like The Rosie Project. Quirky but realistic characters and very fun! I listen all the time, but this is the first time I felt like I had a solid, can’t-miss recommendation for a guest! Thanks, Dee! I actually just bought that one at a used book store. Since Graeme Simsion endorsed The Storied Life of A.J. Fikry, I hoped he might have some similar qualities. I’m glad to know it was a good pick and can’t wait to start it, especially with your “can’t miss” endorsement! It’s nice to know of another person that doesn’t care for David Sedaris! I tried reading a couple of his books and while I totally get sarcasm and consider myself a sarcastic person, I found his humor to be kind of mean-spirited? I’ve never encountered another person who doesn’t care for his writing! A book that came to mind when I was listening was “The Language of Flowers” by Vanessa Diffenbaugh. It’s about a young girl who was in the foster care system but is emancipated now that she is 18. I think it was really well-done! Yes! I’m so glad you can relate, Lisa! And I love the recommendation! It was one of three I recently bought at our used book store and is waiting patiently on my bedside table. Looks like it’s moving its way up the list! Erin, I think you would like Liturgy of the Ordinary by Tish Harrison Warren. I really couldn’t get into The Sacred Year because I kept comparing Yankowski’s writing to Warren’s and he came off comparitively gimmicky. It’s just a good and wise book. Also, you should totally bring your son to Abilene, TX (The Storybooks Capital of America) for our annual Children’s Art and Literacy Festival in June. I think you would both have an absolute blast. Last year the festival was themed around Oliver Jeffers and his work and this year we have Peter Brown. I’ve heard that next year is Dav Pilkey. Families get to interact with the artist, see original art from their books, hear dramatic readings, attend live shows, participate in traditional festival activities, and visit the city’s huge collection of StoryBook Sculptures. Hey Kristi! I’m so surprised to hear the reaction that you thought The Sacred Year was “gimmicky” because I definitely didn’t feel that way at all, but I’m hoping the use of “comparatively” means his was good but hers is just way better 😉 If so, I definitely can’t miss it! I’m familiar with Tish but never have gotten to her writing. Thanks for the recommendation. Also, the festival sounds AMAZING! He would love it and I think I would love it even more. Right. I think I would have probably liked Sacred Year if I hadn’t read Warren’s writing first. I really do hope you can make it to the festival. It really is fantastic. The registration opens in February and it’s a lot easier to find information starting around then. Hey, Marie! (Yay, another foster momma!) Yes, Elinor Lipman has definitely won me over! I’ve read Family Man now as well as On Turpentine Lane and have loved them both! Definitely the light, fun reading experience I’m looking for. I’m eager to read her new book coming out soon. I’m not familiar with the other three you mentioned, so they’re definitely hitting the TBR list now! Erin , I totally endorse the recommendations of the Curious Charms of Arthur Pepper and I so loved One in a Million Boy. I may have completely misunderstood but I got the impression you read very little fiction. I’m interested in how this has come about given you have seen such value in fiction for your child. Like children, fiction really allows us to drop our guard and step into a life or a world vastly different from our own. As someone who has worked with people in crisis for over 30 years I have formed the conviction that delving into fiction is a protective factor in preserving a balanced life. I would encourage you to “swim out into the deep” of fiction… you won’t regret it. Hey, Ann! I definitely enjoyed One in a Million Boy, and I’ve got a sample ready for The Curious Charms of Arthur Pepper. In the past, for several years, I’ve read at least 90% non-fiction, only picking up iconic contemporary fiction like Harry Potter. Since reading with my son, I’ve shifted to about 75% fiction-I’m hooked!! I truly didn’t know reading could be this much fun. I knew I could love it this much, but I didn’t know I had permission to escape and laugh. I know that must sound ridiculous. My little man teaches me about play more every day! Erin, I’m a fellow 4, Tiny Beautiful Things is one of my favorites, also, and I felt the same way you did about Eleanor Oliphant (delightful, but is not a favorite). When you mentioned Ginny Moon and wanting a character you could root for, I thought of my favorite read of 2018, The Great Believers. It is not fun or light, it’s actually pretty heartbreaking, so it’s not what you were looking for in this episode. That said, this book is so beautifully written and you will end up rooting for/loving the characters. I couldn’t help coming here to recommend it to you. Hey, Melanie! You’re right- that’s definitely not a description that would’ve gotten my attention right now. But since it sounds like we’re cut from the same cloth, I can’t ignore your recommendation. I’ll be sure to make a note that when I have the bandwidth for a more emotional read, this one should be at the top of the list. Thanks!! Some of Erin’s favorites resonate with me. C.S. Lewis and A.W. Tozer are well known, but hearing someone else is reading Brennan Manning and enjoying it was awesome. For fiction, one of the authors I’ve come to enjoy is Rene Gutteridge. She is a witty author and develops fantastic characters. I would recommend the Boo series for a good, fun read. While it is lighthearted, it also has elements that get me thinking at the same time. For Erin, I think A Walk in the Woods would be a good choice. The author, Bill Bryson, challenges himself to walk the entire Appalachian Trail, even though he is not particularly fit or outdoorsy. There is a lot of wry self-deprecating humor without being too cynical and a fair amount of wordplay. His experience of the trail and the people he meets there is very engaging and charming. I want to mention two books that Erin might find interesting. The first is Rush. A YA based on a sorority in Mississippi. The characters are so alive and the theme timely. I loved it so much and listened to it on Hoopla. Voices of the South! The Stranger in the Woods. This is non-fiction based on a young man living in Maine, who checked out of society after high school graduation and became a hermit for many years until he was located just a few years ago. After reading this book I went on to read the actual accounts online… a fascinating read. Just wanted to say THANK YOU for this episode! I have 3 kids adopted from foster care (plus 2 bio kids! busy! ), and one in particular really struggles with imagination, independent play and thinking, etc. Also in all honesty, attachment is there (after 2.5 yrs) but still has lots of room to grow on both sides of our relationship. Anyway, we do tons of reading in our family, but in the last week, I made a point to go into her room during rest time and read 3 picture books to her every day– just the two of us. It has really made a difference to have this positive moment of connection together, and I am able to relate to her so much better in those moments than when I’ve got multiple kids listening to a story and I’m trying to keep them all engaged/under control and simultaneously plow through toward bedtime! It has already become a really sweet part of my day. 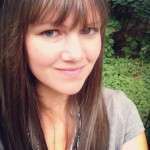 I’d love to keep it up and see what might come of it– both for our relationship and for her imagination/creativity! This is such an OBVIOUS thing to do, but something about the way you told your story made me consider it worthwhile to sacrifice some of my precious afternoon break to do it. So so grateful it did! Thank you both for a very interesting episode! I’m looking forward to reading a number of the books mentioned. But I’m DYING to know the titles of the books you DIDN’T mention, Anne–the 1938 one and the family story with a touch of magic (or was that the Lipman book? It seemed from your description that that was NOT the magic one). If you could share those, I would be thrilled! And thanks for this podcast and website; I’m so glad I found it, because it’s done so much to enrich my reading life already! I’m a little late to this episode, but hopefully Erin is still finding recommendations here! I wanted to recommend The Wemmicks books, by Max Lucado, for her and her son. They’re such good stories about God’s love for us told through the view of a maker of wooden people. Not knowing all of your son’s triggers, though, it’s always good to skim first. This isn’t a book but I highly recommend the documentary “Losing Sight of Shore” on netflix. i think you’d love it. It’s about 4 women who row from San Diego to (I forget exactly where) in Australia. It’s fascinating. I have two books to recommend. First, is The Bean Trees by Barbara Kingsolver (fiction). The second is A Girl Named Zippy by, Haven Kimmel (autobiography/memoir). I enjoyed your episode! For some real-life adventures, I recommend: Find Me Unafraid: Love, Loss, and Hope in an African Slum by Kennedy Odede, A Walk in the Woods by Bill Bryson, and Little Princes: One Man’s Promise to Bring Home the Lost Children of Nepal by Conor Grennan.